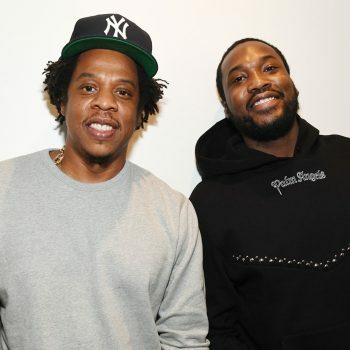 Two of the biggest rappers in the world and three of the biggest sports team owners in the United States have joined forces to rectify the broken judicial system in the country. Rappers, Meek Mill and Jay-Z, Patriots owner ,Robert Kraft, 76ers co-owner, Michael Rubin, Nets co-owner, Clara Wu Tsai and others have launched the Reform Alliance, a new initiative focused on overhauling the probation and parole system with the goal of freeing at least 1 million people caught up in the system within the next five years. To achieve that goal, they have pledged a whooping sum of $50 million and hired political commentator and activist, Van Jones as their Chief Executive Officer (CEO). Rubin, who announced the development at a press conference at John Jay College in New York City on Thursday said Daniel Loeb, the CEO of Third Point Management, Michael E. Novogratz, CEO of Galaxy Digital and Robert F. Smith, CEO of Vista Equity Partners were founding board and investors of the alliance. Mill, who famously spent five months in prison last year on a technical probation violation reflected on more than a decade spent in the system. He said: “Every time I started fulfilling my life within the music industry, every year or two, there was always something that brought me back to ground zero because of probation. He noted that in order to even be able to attend the event, he had to first get permission from his probation officer to travel to New York City, underscoring the lack of freedom he still faces. Also speaking at the event, Jones said the Reform’s first step would be focusing on the over 4.5 million people on parole or probation. He added that the organization was not a bank for hiring lawyers but would instead align with criminal-justice-reform groups who have worked for decades. “We’re not here to reinvent the wheel, but accelerate it. The alliance’s aim also isn’t to hire better lawyers for those on parole and/or probation but to go straight to the root of the problem and dismantle the laws keeping people trapped in the revolving door of arbitrary violations,” he said. He said: “This is how we grew up. We’re all prisoners to this. Until everyone’s free, no one’s free. While noting that such systems were designed to prey on the disadvantaged people, he added: “That interaction causes people to lose lives. If someone commits a crime, they should go to jail.